All our professionals at Stephen H. Jeran, D.D.S. maintain the highest levels of accreditation and pursue ongoing education to stay abreast of the latest trends in dentistry. 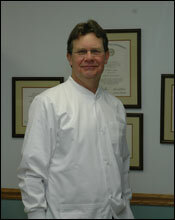 Dr. Stephen Jeran graduated from Fairmont State College, WV in 1978. He then graduated from WV University Dental School in 1983. He has been practicing in Buckhannon since 1983. Brittany Brummage, RDH, BS is a graduate of West Virginia University. She enjoys the challenges of dental hygiene, and through continuing education courses she keeps current with new technology and concepts designed to enhance the dental health of patients of all ages.